I have been canoeing for over thirty years, long enough to still apply the term canoeing generically to both paddling canoes and kayaks. Most of this time I have been actively competing in canoe slalom, in kayak and also in C1 and C2. The pinnacles of my career have been being included in the England team in C2 and C1, racing in the Premier division in both C1 and C2, and almost, but not quite, making Premier in my kayak. From my earliest days in paddling I have enjoyed running rivers. At first it was in my slalom boat, as these were the only white water boats that were available at that time. The boats we paddled were the new "low line" boats, so they were quite lively. We did not want to break the boats, nor ourselves, so the upper limit of our adventures were grade 3 rivers like the Lune. Paddlers that were more serious about their river running tended to use older higher volume slalom kayaks. Neoprene spraydecks and shorts were only just emerging at that time, so we paddled in swimming trunks, old pullovers, nylon spraydecks and leaky cagoules. A winter paddle was a cold experience. Plastic boats drastically altered what was possible. The first boats, the Perception Mirage and then Dancer, had poor performance, small cockpits and pointy ends that made them positively dangerous, but they were far less fragile than the glassfibre boats we had been used to, and they opened up new rivers. My first plastic boat was a Pyranha Master, about 3.5m long, with quite a lot of volume, and with slightly more performance than the Perception boats, and the advantage of a large cockpit, and this allowed me to join in the exploration of some of the harder rivers in the UK, and the Alps. From early on I have been coaching, My formal coaching was mostly with beginners, though through the slalom training sessions and river running we were coaching each other on a peer to peer basis at a much higher level. Until recently I have avoided the official coaching qualifications, as on the occasions when I had come to paddle with these coaches I had universally found them to be both poor in their own technical ability, and what was worse, dangerously poor in their ability to work in a group situation and make assessment of risk. More recently I have taken up coaching slalom on a more formal basis, and in order to have access to funding and coaching support I have progressed with getting some qualifications. I am now a level 2 slalom coach. I still teach beginners on a regular basis, mostly rolling in the pool. I also continue to run white water rivers, and this I believe represents the greatest test of my personal ability. In getting qualified, I have had to firstly become more aware of the requirements of the old BCU coaching and personal awards, and how this has changed in the new UKCC awards. In general, I approve of the changes, though I am not altogether happy with the implementation. The greatest change for the better from my point of view, has been the change from performing techniques, some of which had become out of date, to focussing on outcomes. This has freed the coach to teach what they believe to be best practice, and to adapt their teaching in accordance to the latest thinking, and also to suit the type of craft they are coaching to. This also has its dangers: older coaches are free to continue to coach the techniques they learnt many years ago, and some coaches feel a little lost without a strict syllabus to work to. Finally, the way my coaching has developed has caused me to always question anything and everything that is presented about the sport of kayaking, and to test them against my own personal experience and observations. 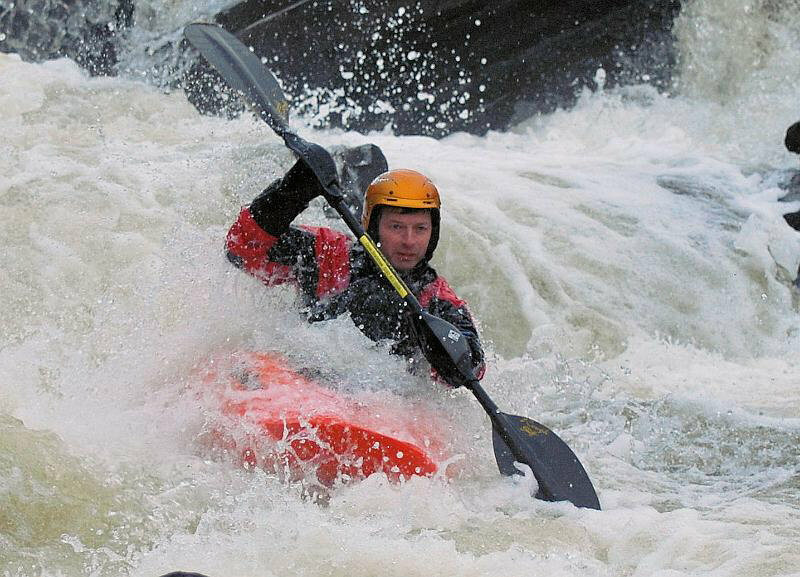 In general the understanding of kayaking has improved in leaps and bounds over the past 30 or so years I have been involved in the sport; however not everything that is taught is useful or relevent to the average boater. Below is an article I have written on the coaching of bracing. Hopefully I will get around to adding more articles in the future.